By now, you’ve likely caught a whiff of something new wafting across Baltimore. 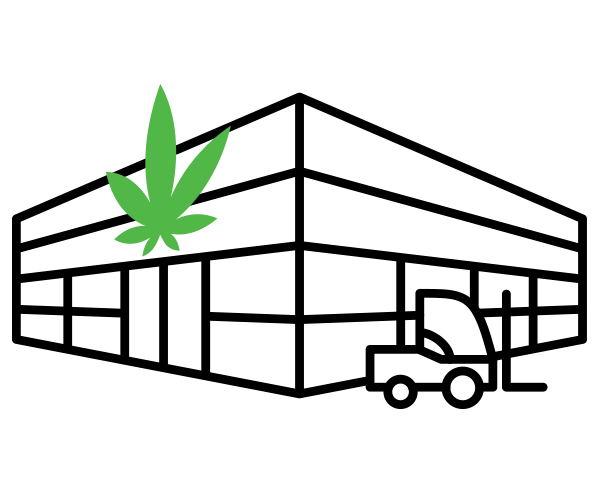 Perhaps you’ve passed one of the dozens of dispensaries on your way to work—all hip and gleaming like an Apple store, selling an equally in-demand product. Or maybe you’ve seen a friend or coworker sharing pictures of their bright-green prescriptions on Instagram. 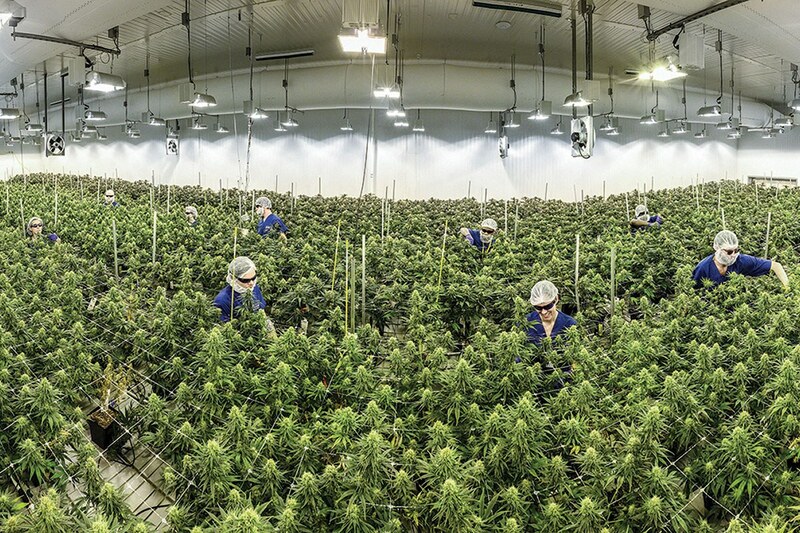 Much as is happening across the rest of the country, the winds of change have cometh here in Maryland, and the medical marijuana—or cannabis—industry has set down roots across the state. Some two decades since California became the first to approve the plant for its medicinal benefits—cannabis compounds have been shown to increase appetite in cancer patients, provide relief to chronic pain sufferers, and reduce seizures for those with epilepsy, to name a few—there are now 33 states (plus Washington, D.C.) that have followed suit. But here in Maryland, it has been a long, strange trip. In many ways, it began with Kurt Schmoke in the 1980s, when the young Baltimore City mayor openly advocated the decriminalization of marijuana as a better solution to the War on Drugs (and sparked a subsequent national uproar). It would take 30 years, but Governor Martin O’Malley would eventually do just that, to a degree, decriminalizing possession of 10 grams or less in 2014. He would also pave the way for what has unfolded today by legalizing medical cannabis just months prior. If you had told us 30 years ago that we would be able to legally purchase marijuana in the state of Maryland in the not-too-distant future, we’d probably think you were blowing smoke. Of course, even today, complications abound: marijuana is still classified as an illegal drug by the federal government, the local industry is making up for its initial dearth of diversity, and the program is looking for areas of expansion (we’re waiting on you, edibles). 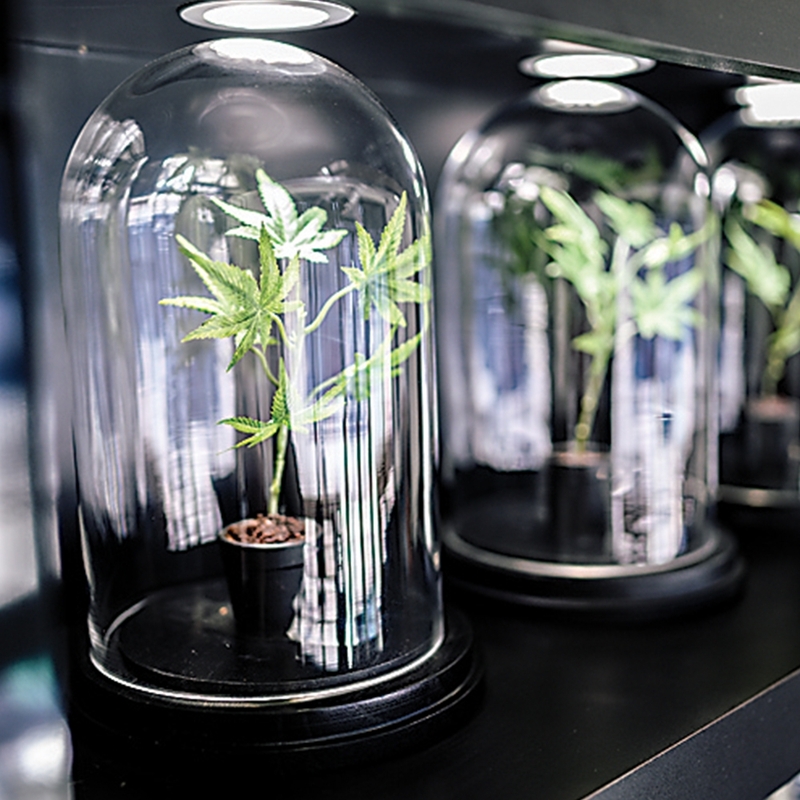 But the demand is undeniably there, with anywhere between 100 and 500 new patients now applying for medical marijuana cards each day, and more than 30 new dispensaries and up to 20 growers and processors being added later this year. Meanwhile, another 10 states, plus D.C., have made marijuana legal for recreational use, and here in Maryland, polls show that the majority of residents support such local measures. The General Assembly is even studying what legalization might look like in the state, though, for now, it’s still a pipe dream. Meanwhile, patients of all ilks can rejoice as medical cannabis has officially arrived. We answer all of your pressing questions about the state’s new medical pot program. Maryland residents can submit an application with the Maryland Medical Cannabis Commission via mmcc.maryland.gov. Once approved, make an appointment with an MMCC-registered provider to discuss your conditions and acquire a written certification. 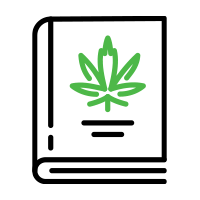 From there, print a temporary MMCC identification card, which you must present at a licensed dispensary to purchase a prescription. The majority of dispensaries are cash only. 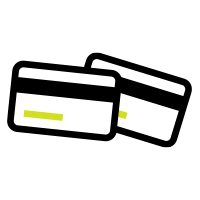 Despite state legalization, buying and selling cannabis is still illegal under federal law, preventing many banks and credit card companies from allowing their services to be used for any marijuana-related purchases. 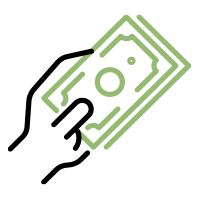 That being said, most local dispensaries have ATMs on site, and a few do offer cashless systems, such as the CanPay mobile app, which acts as a sort of debit payment. Are most doctors registered with the MMCC? Where can I take my medicine? You can use cannabis in the privacy of your own home. 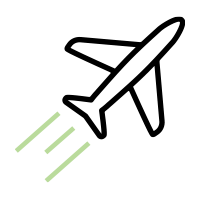 Its use is prohibited in public spaces, motor vehicles, or on private property where smoking or cannabis is forbidden by the property owner. Current conditions include but are not limited to anorexia, chronic pain, glaucoma, seizures, muscle spasms, post-traumatic stress disorder, and “other chronic medical conditions that are severe in nature and for which other treatments have been ineffective,” leaving a fair amount of leeway. What if I am stopped by law enforcement? Patients do not have to disclose that they possess medical cannabis or consent to a search. If one is conducted and medical cannabis is found, present your patient ID card or direct the officer to the MMCC database. Legally approved or not, Baltimore State’s Attorney Marilyn Mosby has announced that the city will no longer prosecute marijuana possessions. In the state of Maryland, yes. Across state lines, no, as the federal government still classifies marijuana as an illegal drug, making its “trafficking” a federal crime. What if my employer tests for cannabis? Maryland law does not prevent employers from testing for cannabis use, and it does not protect employees who test positive, regardless of state medicinal approval. 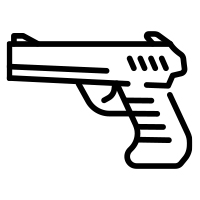 Can I become a patient if I own a firearm? No. Due to cannabis’ controlled substance status, federal law bars cannabis patients from purchasing or possessing firearms. At this point, health insurance companies are not required to cover medical cannabis costs. No. Maryland law does not allow any resident to cultivate their own cannabis plants. Cannabis has become so much more than bud and bongs. While flower continues to be the best-seller at most dispensaries, the display cases now boast a buffet of products that fit the lifestyles of a variety of patients—pre-rolled joints (1), vapes (2), extracts (3), tinctures (4), tablets (5), creams (6), patches (7), chapsticks (8), chewables (9), and drinks infused with THC (10). Curio Wellness has even come out with their own “intimacy oil” (11)! These cannabis-infused foods are not technically legal in Maryland, but some ingestible products, such as chewable gummies and drinkable elixirs, are available at local dispensaries. “Medibles” might be on the menu soon, as new legislation aims to end the prohibition. 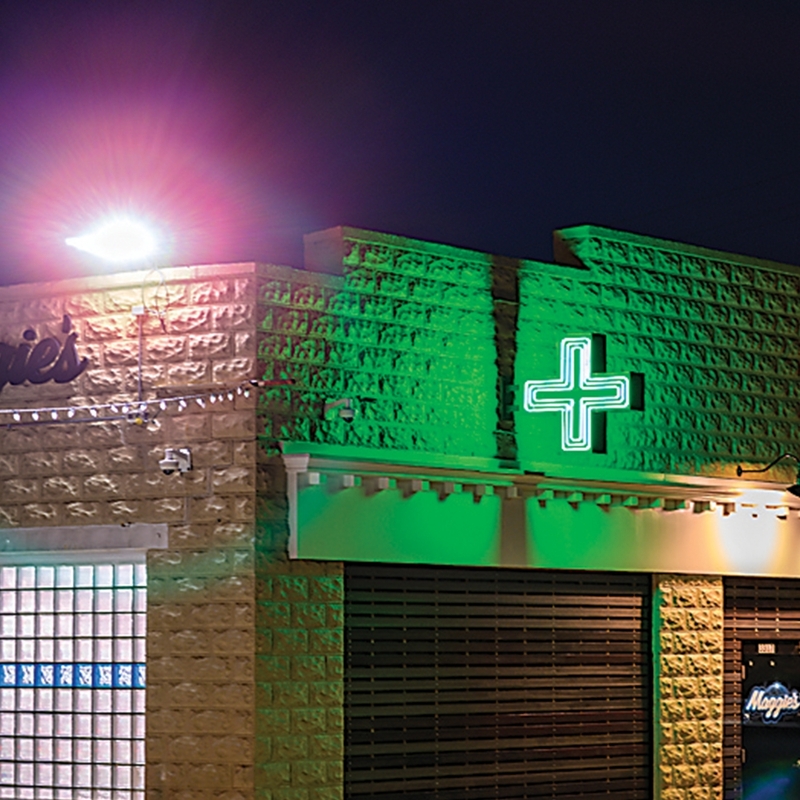 Out of the state’s dozens of dispensaries, here are a few of our favorites in city limits. Row 1: GreenLabs; Pure Life Wellness; Maggie's. Row 2: GreenLabs; Pure Life Wellness (2). Row 3: GreenLabs (2); Pure Life Wellness. CULTA | 215 Key Hwy. 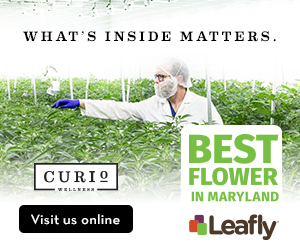 Located along the edge of the Inner Harbor, this sprawling showroom offers its own Eastern Shore-grown flower, plus items by other local brands such as Curio Wellness and Evermore. They are also the state’s sole grower of Willie’s Reserve, a cannabis line from country music legend (and notorious toker) Willie Nelson. GREENLABS | 1522 Eastern Ave. This Fells pharmacy gives new meaning to “green wall,” with faux pot plants decking the lobby from floor to ceiling. Behind the secret door, you can purchase everything from pre-rolled joints to collectors-item paraphernalia. Extra points for their own parking lot in this spot-short neighborhood. MAGGIE’S | Hampden 3317 Keswick Rd. 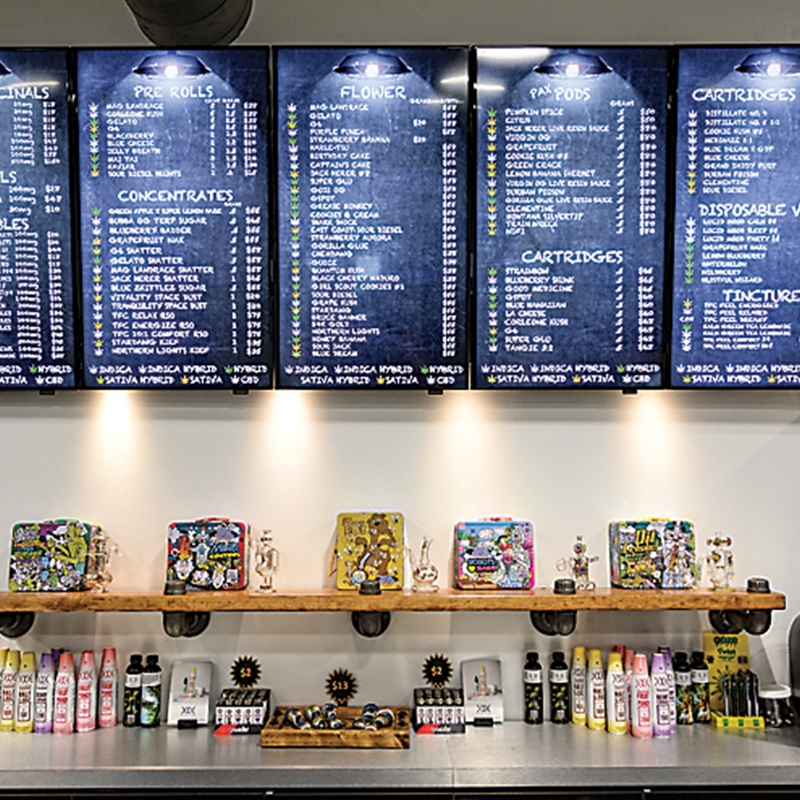 Follow the neon green cross and graffiti-style sign to this neighborhood head shop, located inside a former 1950s car dealership, where you’ll find a casual introduction to this emerging medicine. Inside you’ll find a personable staff, no-bull advice, and few fancy bells and whistles to distract you. 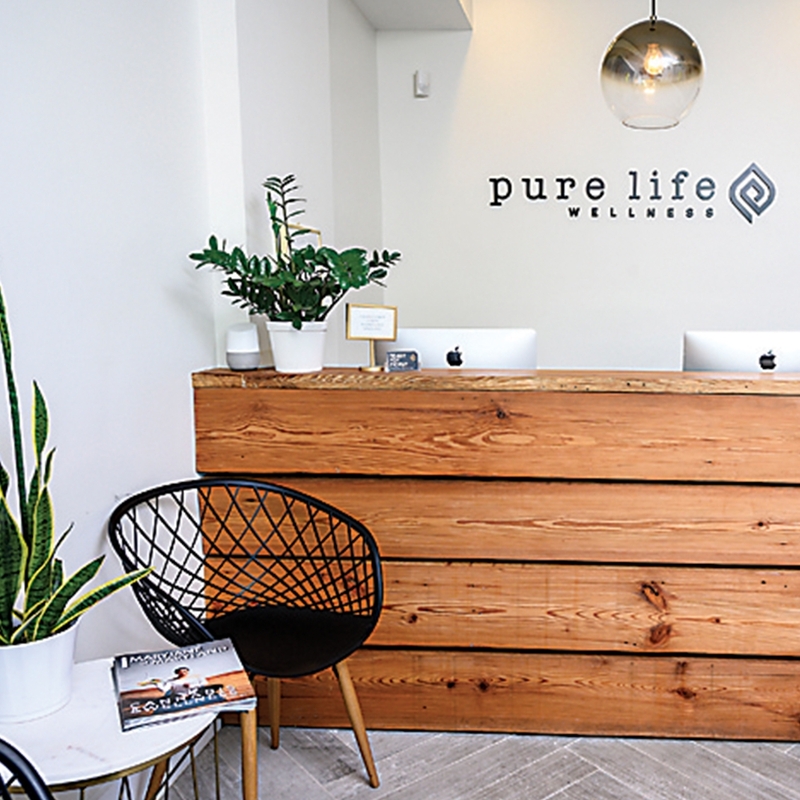 PURE LIFE WELLNESS | 35 E. Cross St.
Next to the historic Cross Street Market, this chic, woman-owned boutique is decked out in white-washed brick, potted succulents, and chevron accents for the Fed Hill throngs. 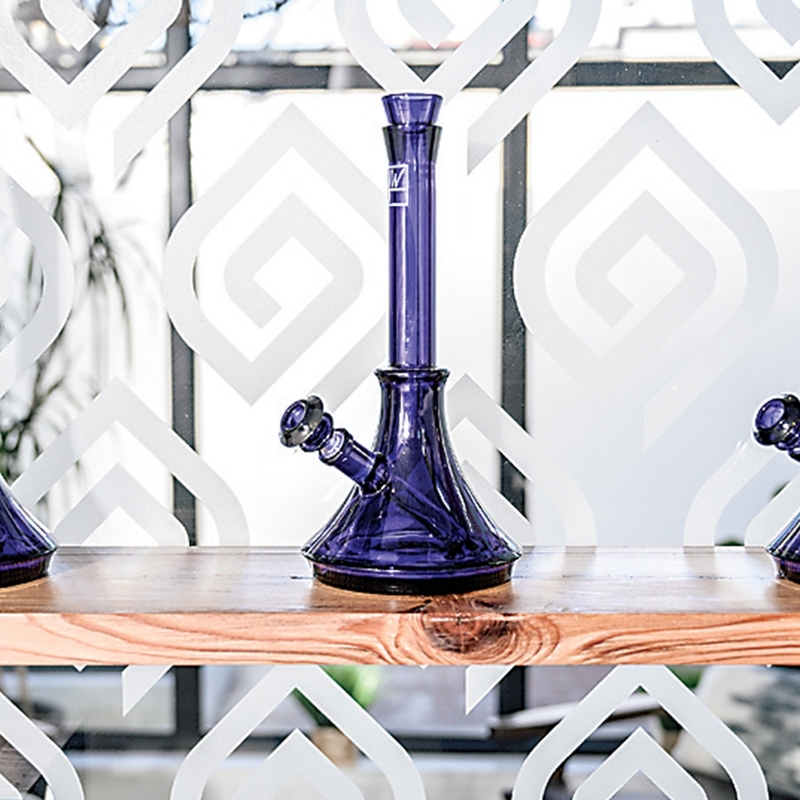 Be sure to snag one of their stylish bongs and a spot in one of their Saturday morning yoga classes, located in the studio upstairs. STOREHOUSE | 5730 Falls Rd. Just a hop off of I-83, this tucked-away shop features an open design, modern light fixtures, and a free Pac-Man machine in the front lobby for while you wait (plus a free ATM). Expect a curated collection of local products and swag, as well as hip-hop on the stereo and one of the friendliest staffs in town. 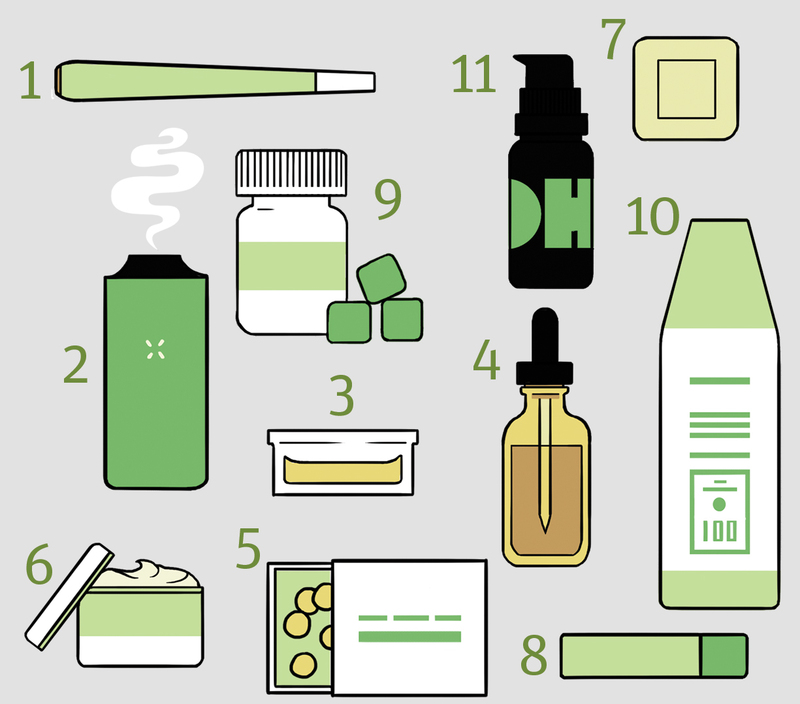 Our tips on dispensary etiquette for the uninitiated. DON’T Forget to bring your identification card. You won’t be allowed inside otherwise. DO Befriend the jovial security guard in the front lobby. Maybe bring them a magazine or snack. DON’T Be afraid to ask your “budtender” for advice. No question is stupid, every patient is different, and they’re here to help you find what works for you. 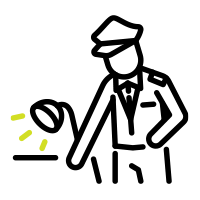 DO Ask about specials, with each dispensary offering daily sales and, oftentimes, senior and veteran discounts. DO Respect the privacy of other patients. 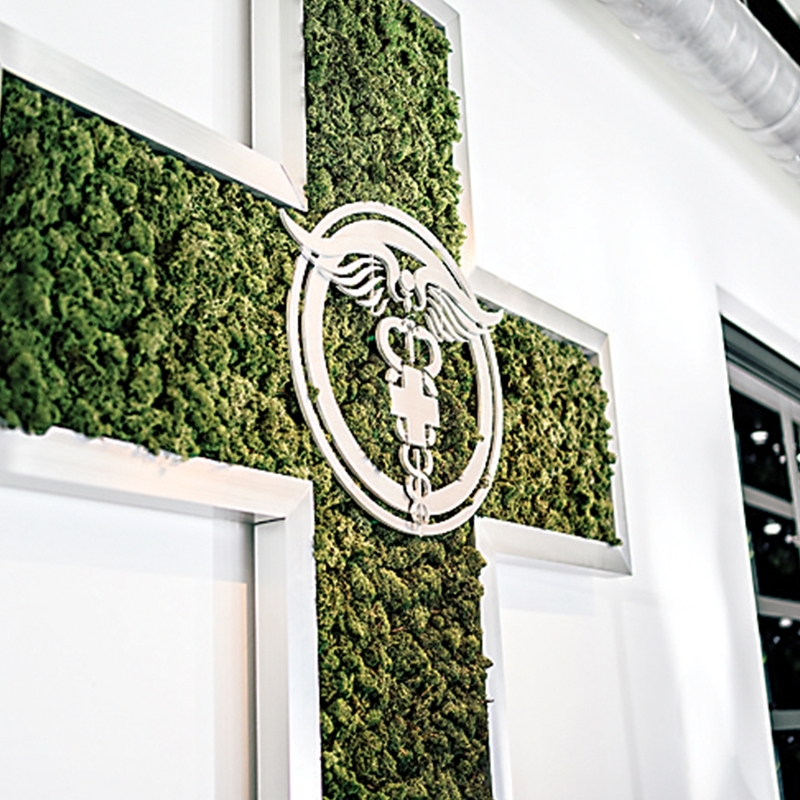 Treat the dispensary like your doctor’s office. DON’T Over-order. Each patient is allotted a certain amount of cannabis (typically up to 120 grams of flower, or up to 36 grams of extract) over a 30-day period. You can always come back for more. DON’T Freak out, man. 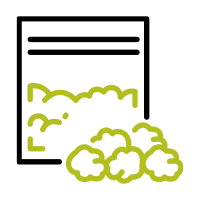 Many dispensaries emit a strong smell of weed, but there is no cannabis that is smoked on site, so there should be little to no fear of picking up a contact high. Avoid any lingering confusion with these quick clarifications of common cannabis terms. The preferred industry term for marijuana. Grown for its dried flower buds and oils, used for their medical and intoxicating effects. Non-intoxicating and cultivated for its industrial fiber and seeds. After a decades-long ban, Congress just voted for its legalization. 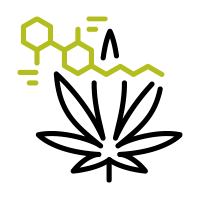 The cannabis plant’s main psychoactive compound, responsible for the user’s “high” sensation. The plant’s non-intoxicating compound popular for its potential therapeutic benefits. Said to produce an uplifting experience. Said to induce more relaxed vibes. A genetic cross of strains, with different traits of each. 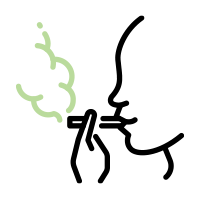 These naturally produced aromatic oils give distinctive flavors, such as citrus, floral, and pine notes, to different cannabis varieties. 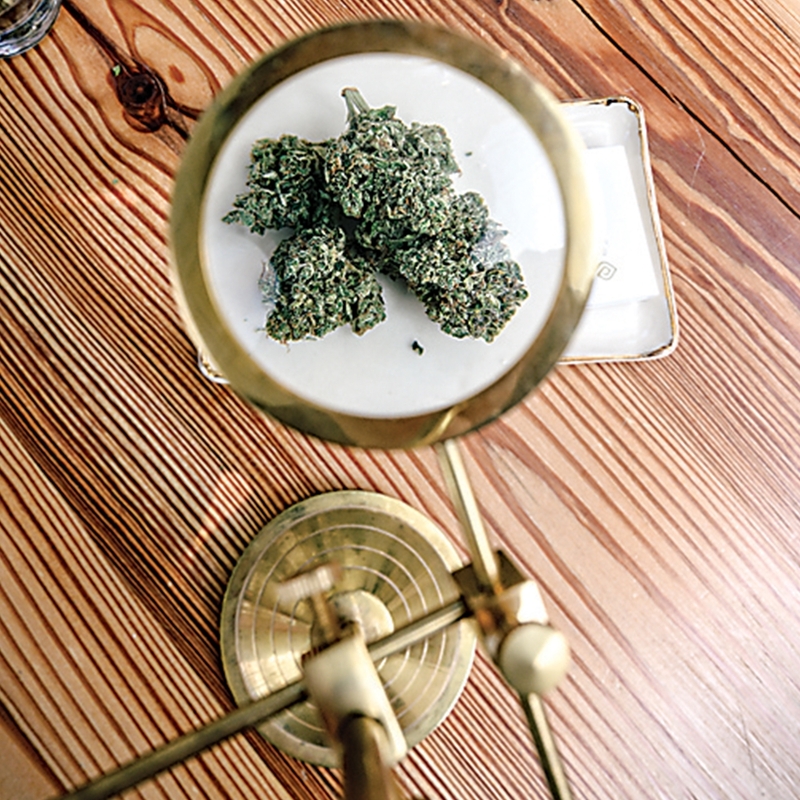 Expect to hear budtenders waxing rhapsodic over their medicinal wonders, as each is associated with its own effects—such as the promotion of focus or relaxation—and every cannabis strain is made up of a unique composition of terpenes. medical cannabis helped her through the process. Two days before your 28th birthday, you were diagnosed with non-Hodgkin’s lymphoma. How soon after did you decide to use medical cannabis? I knew I wanted to use cannabis right away. I’ve been a recreational user for a while, but it was helpful to start tailoring my experience in a more medicinal way. I wanted to make sure that I was getting products that would help me sleep or stimulate my appetite. 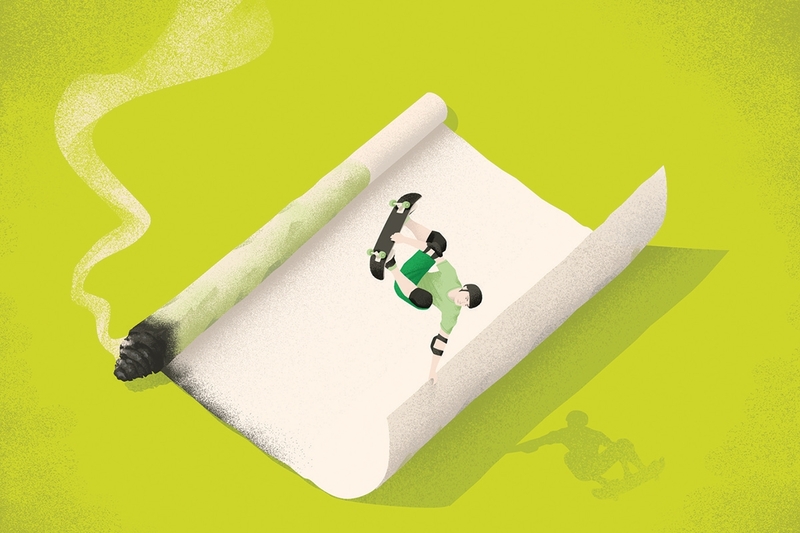 When you’re a recreational user, just getting cannabis from a friend of a friend, you don’t know exactly what you’re smoking, and you can have negative experiences. 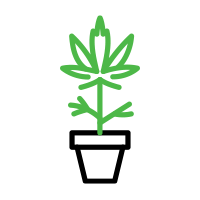 The dispensary budtenders are very knowledgeable and there to help suggest different options and figure out what will work best for you. I learned by trying different products. I learned that I don’t like sativas because they make me anxious. Indicas are good for sleeping, which helped with the insomnia that came with chemotherapy. CBD helped with pain management. 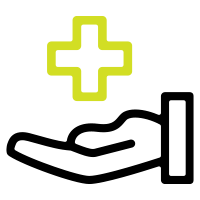 What is your advice for patients entering a dispensary for the first time? Ask a lot of questions. There’s no such thing as a stupid one. Know what effect you’re looking for. And take notes! I recommend a cannabis journal. You can write down what the strain was, what kind of terpenes it had, how you took it, what you took it for, if it helped or not, how it made you feel, if there were any side effects, like dry mouth, all so you can figure out how it affects you specifically. Have you found a cannabis community in Baltimore? Yes, and it’s been really inspiring. Cannabis patients come in all shapes and sizes. Don’t let the idea of what you think a cannabis patient should look like hold you back from becoming one yourself. You don’t have to be a cancer patient. Maybe you just feel anxious sometimes. What would you tell people who are considering medical cannabis? I think a lot of people aren’t sure where to start. It seems like it’s going to be really complicated, and it does take a little bit of time, but it’s not a difficult process. 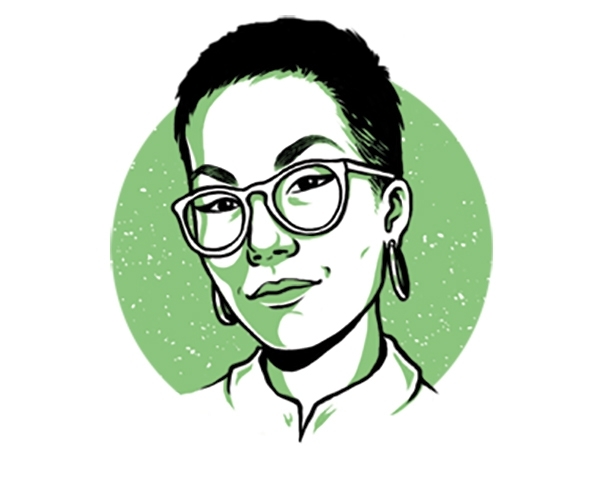 Get on the MMCC website, do some research, check out Leafly, which has a lot of really great articles, and talk to people who have their card or are involved in the community. After six rounds of chemotherapy and immunotherapy, you are now in complete remission. Looking back, what did having that option mean to you while fighting cancer? It was a big thing for me to be able to have a natural alternative, especially one that I was already familiar with. I was having a really hard time sleeping and my doctor offered to prescribe me a sleeping pill and I didn’t want anything like that. For me, I could kill two birds with one stone—stimulate my appetite, alleviate pain, and sleep better, at the same time. As a lifestyle blogger, what inspired you to share your cannabis journey? Now that the medical industry is up and running, the discussion turns to marijuana’s recreational future. The expectation tends to be that the natural next step would be weed for all, following in the footsteps of the likes of California, Colorado, and even Canada. Will it ever be legal in the state of Maryland? The answer remains to be seen.